It has been a long time story for this post during Malaysia GE13. The time I purposely went back to my place to vote for our country's future (also my future). Seafood is always something I always craving for when I staying in Singapore, as the small island has very little production of seafood by itself, mostly imported from Malaysia and Indonesia, so it is so pricey and luxury to have seafood in Singapore. I and my family were having our fabulous dinner at Penang famous seafood spot, Tambun-- a place serving fresh and cheap seafood. This is not our first visit to Fish Village Seafood Restaurant. 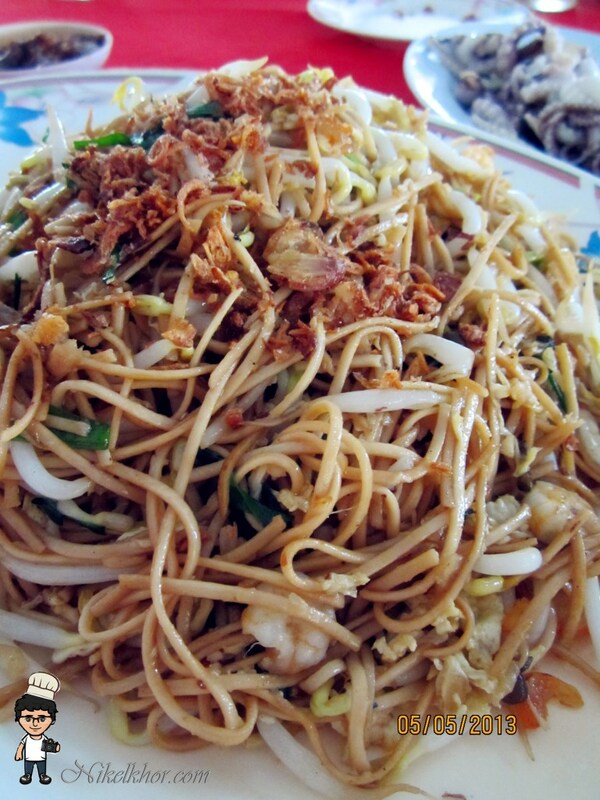 Hence, we are quite familiar to the menu and signature dishes they serves. Baby octopus is always one of my favourite, especially when I visit Japanese restaurant. This baby octopus is cooked in a different way, with slight boiling, to retain the freshness and sweetness of the octopus, no extra seasoning was added. 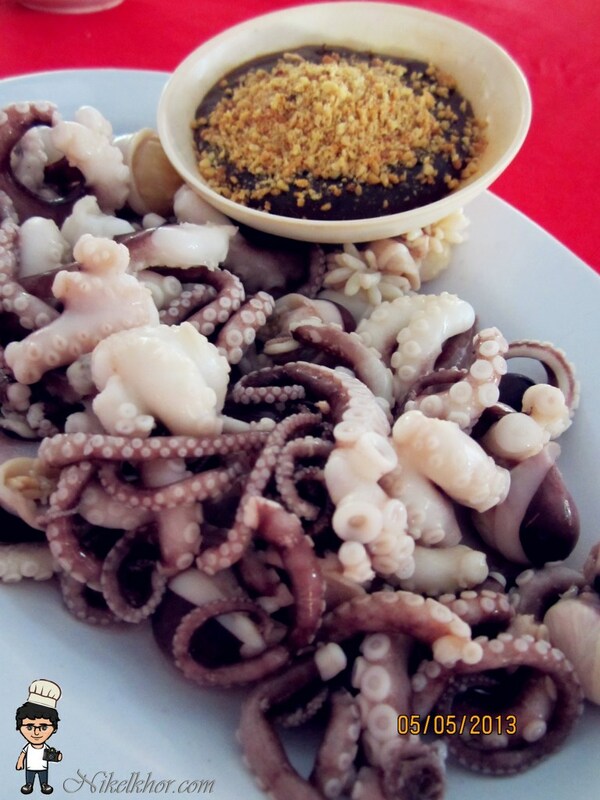 With a dip of the special-made sauce, definitely enhance the taste of the octopus. 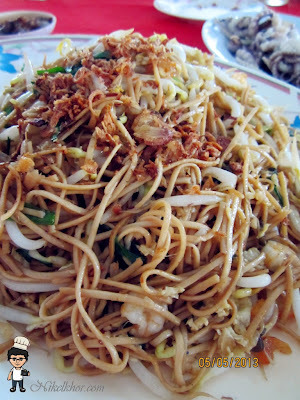 As usual practice here, we ordered fried noodles to eat together with seafood. The noodles was good enough for its "wok" flavour. A portion of green as usual. 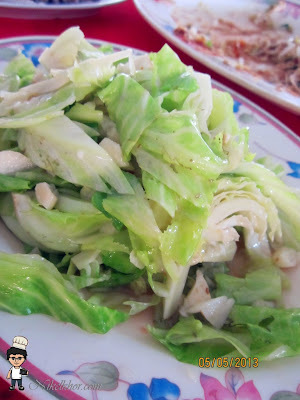 Baby bok choy is a new try, but I definitely fall into love with the green crunchiness. 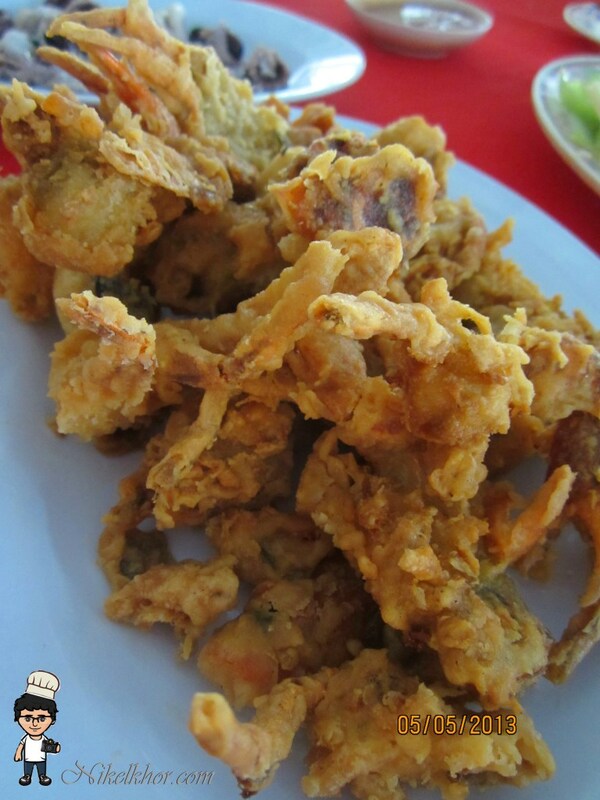 Soft shell crab is a seasonal item, and we were lucky enough to grab some of these. Coated with a thin layer of batter, fried into golden brown, it is indeed crispy and I couldn't help myself from reaching it for more! I bet it will be good to go with beer too! 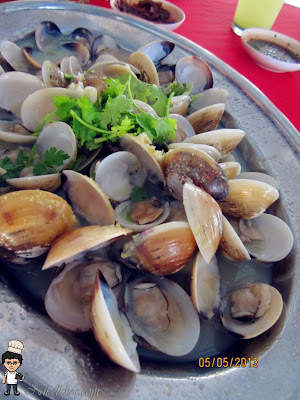 Big clam are steamed with broth and lime juice. The clam are opening up widely inviting my appetite. With the little sour from the lime, it is extremely appetizing and I can finish the whole plate by myself! Yum yum. 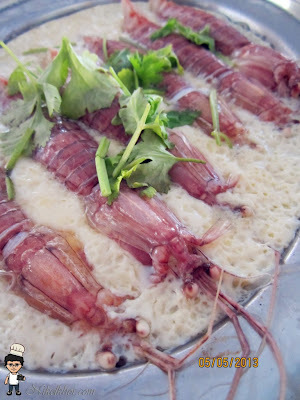 Deng deng, last but not least-- this is one of the favourite seafood dish. Normally we have minced meat or salted fish for steamed egg, but this is definitely the luxury version of steamed egg. The mantis shrimp is very huge in size and definitely over shadowing the steamed egg as the leading role, if you are craving for fresh mantis shrimp and high protein dishes, this will the best to try! To have the best taste of seafood, steaming is always the best cooking method, not only allow us to taste the sweetness deriving from the seafood, but also prove that the restaurant serve really good and fresh seafood! 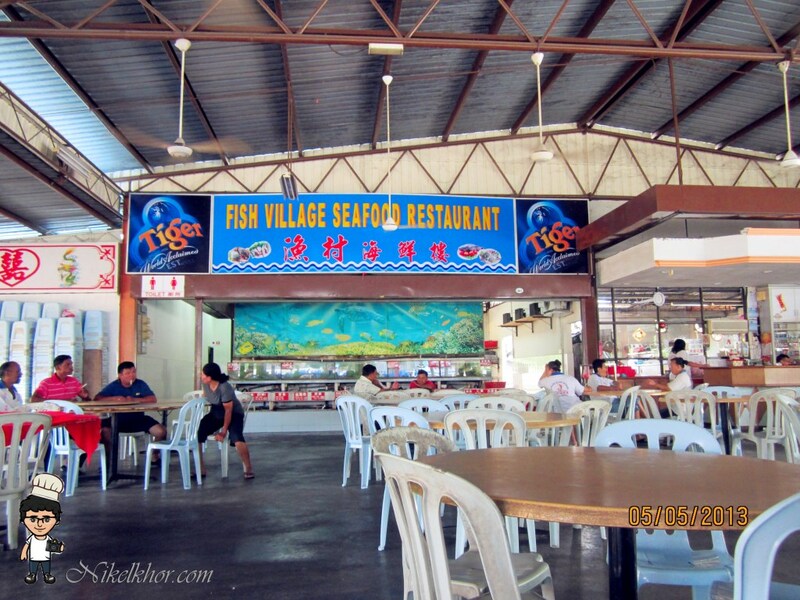 Fish Village Seafood is definitely one of the best place to have good and authentic seafood at reasonable price. Appreciate u can feedback to them. Thanks.